As San Luis Obispo County’s wine country continues to grow, the Central Coast is gaining recognition across the globe for our wonderful wines and beautiful scenery. But as microbreweries pop up in almost every town across the county, locally brewed beer might have you second-guessing your drink order next time you go out to dinner. San Luis Obispo County has become the home of several unique breweries and with SLO Beer Week just around the corner, we’ve compiled exactly what you need to know about each of them. 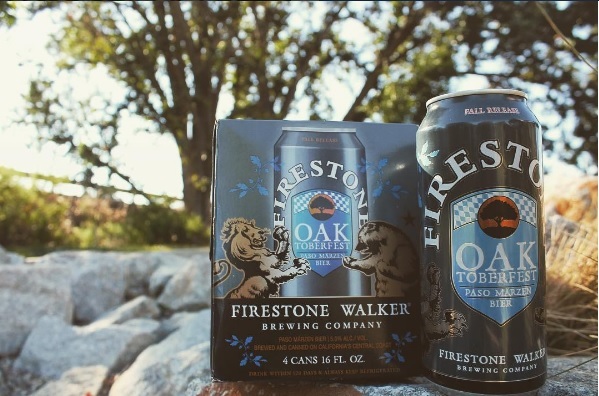 Firestone Walker Brewing Company was created by a set of brothers-in-law who share a deep love for beer. Adam Firestone grew up on the Central Coast in the middle of wine country, exposed to wine making and brewing at an early age. After his first attempt at the recipe for Double Barrel Ale, Adam knew he’d need a partner to make his dreams a reality. Enters David Walker, the Englishman who married Adam’s sister and brought the authenticity of Old World craft to Adam’s innovative Californian spirit. And thus, the brewery was born. Firestone has grown to become a local favorite and is even expanding beyond the Central Coast. With over 20 beers to choose from, the options are seemingly endless. This month, try their Oaktoberfest Paso Märzen Bier, a twist on German Märzen Bier. Named in honor of the brewery’s hometown of Paso Robles, which translates to “Pass of the Oaks”, the Oaktoberfest beer contains subtle honey-like aromas with hints of Noble hop spice. With two locations on the Central Coast, BarrelHouse Brewing Co, like Firestone Walker, is a hidden gem of San Luis Obispo county. The first location in beautiful Paso Robles first opened it’s doors in 2013 and has been offering tours, tastings, and a relaxing atmosphere for beer-lovers across the Central Coast to enjoy ever since. 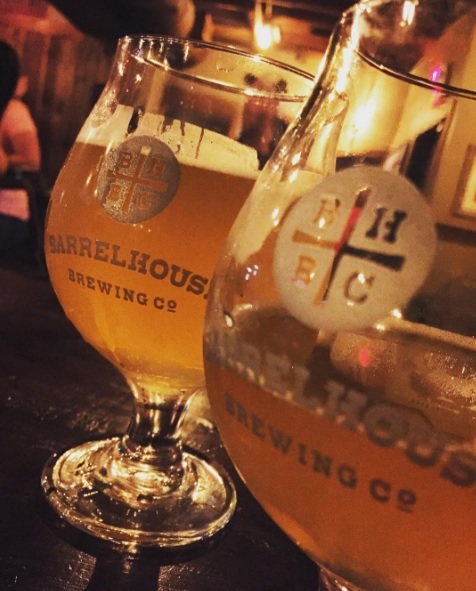 This year, BarrelHouse Brewing Co. opened it’s second location in downtown San Luis Obispo. Modeled after a 1930’s Speakeasy, visitors are transported back to the Prohibition Era once they cross the threshold. Priding themselves on brewing beer for people, rather than judges, co-owners Jason Carvalho, Kevin Nickell, and Chris Vaughn have a unique approach to brewing that emphasizes “good people, good times, and great beers.” BarrelHouse is known for their enjoyable, balanced beers like their BarrelHouse Blonde. This month only, try their Spiced Brown Porter Harvest Ale. Crafted with hand roasted pumpkins and fresh local spices, this beer will certainly have you falling in love with fall. As you drink it, make note of the hints of graham cracker, vanilla, and even pumpkin pie! “Crafted with Cali Heart,” SLO Brew has been providing Central Coast visitors and residents with good times since 1988, making it one of California’s longest standing brew pubs. Mike Hoffman and Cathy Ireland established the original SLO Brew on Garden Street, becoming the first brewpub in San Luis Obispo county since the Prohibition Era. Today, SLO Brew has been taken to new heights by current owner Hamish Marshall. 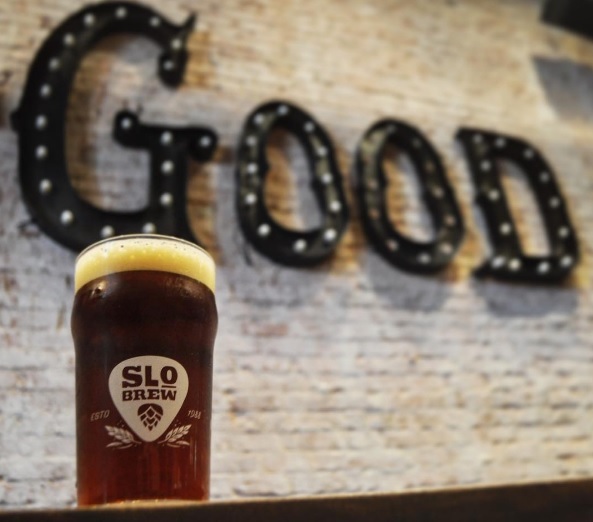 With it’s new location on Higuera Street and a new Brewhouse, SLO Brew still holds a special place on the Central Coast as it offers live music and entertainment, and of course good beer to all who walk in the door. This fall, sip on their pale German lager, the Stein Slammer, which balances excellent drinkability with malt strength for a clean, smooth, drinking experience. With toasty hints, this beer highlights classic German malt flavors without being too heavy.